World number two Andy Murray demolished big-serving Australian Sam Groth in straight sets to reach the third round at the Australian Open on Thursday. Murray completely outplayed the holder of the world’s fastest serve 6-0, 6-4, 6-1 in one hour 31 minutes and will next play Portugal’s Joao Sousa in the third round. Murray dissected Groth’s booming serve with a variety of precision lobs, ankle-high returns and unerring passing shots, all mixed in with the Australian’s volleying errors. “It’s nice to play different game styles, a lot of the players play quite similar games nowadays and Sam’s obviously quite different, coming to the net a lot,” Murray said. “When he serves well it’s easy to get impatient as you sometimes don’t touch the ball for a whole game. A significant match statistic was that Murray served more aces than 67th-ranked Groth 10-6, while breaking the Australian’s powerful serve seven times. The Scot broke Groth’s first three service games to take the opening set in 29 minutes, leaving the nonplussed Aussie shaking his head. Groth, 28, got his first break point in Murray’s seventh service game and broke back when the Scot’s forehand was long. The Australian began to get his game together but Murray still got his fifth service break to take a two sets to love lead when Groth’s crouching volley was wide on break point. 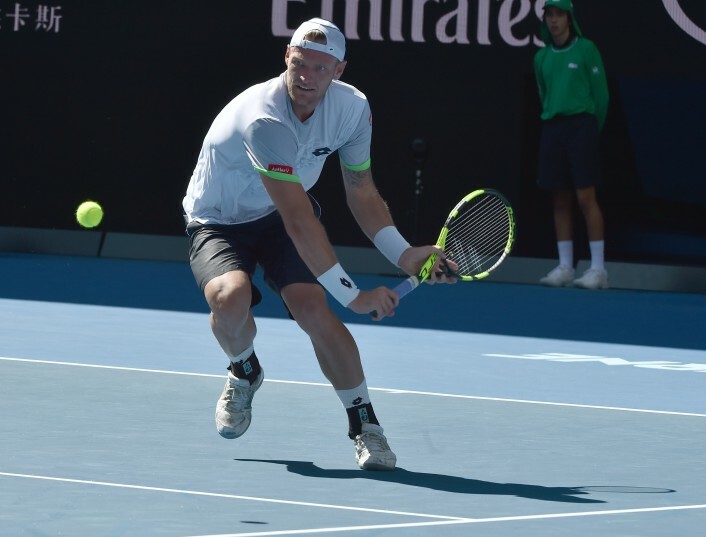 Groth is credited with the fastest recorded serve of 263 kilometres (163 miles) per hour, which he hammered at an ATP Challenger event in South Korea in May 2012.